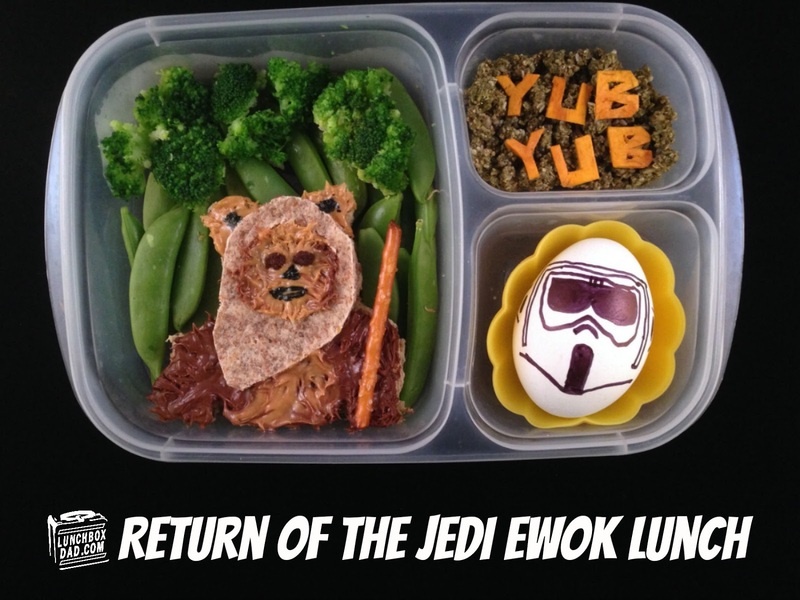 Lunchbox Dad: Star Wars Return of the Jedi Ewok Lunch for National Star Wars Day! Star Wars Return of the Jedi Ewok Lunch for National Star Wars Day! It's May the 4th, National Star Wars Day! 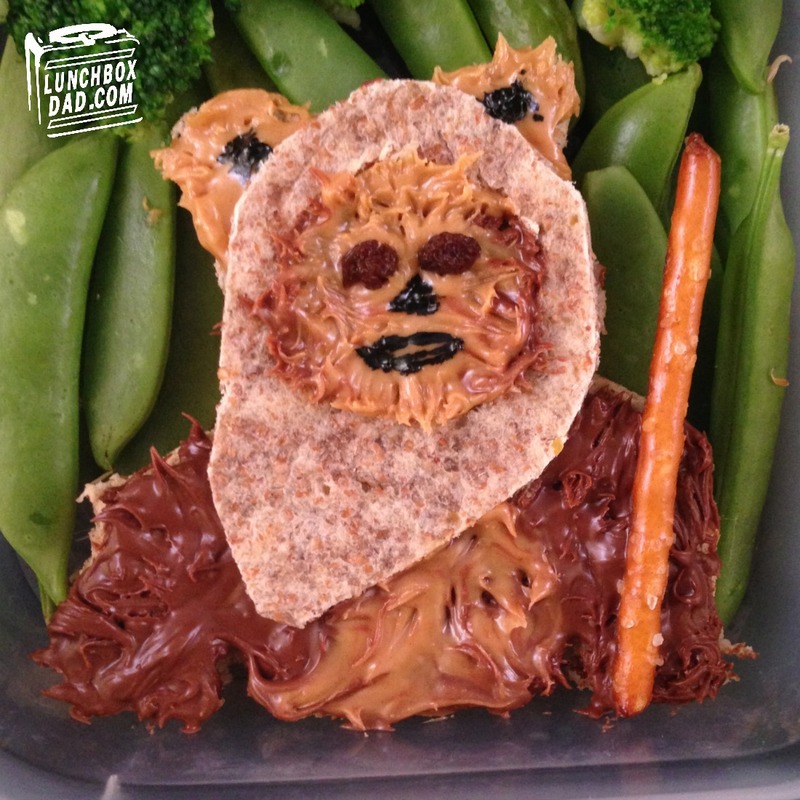 My family loves Star Wars so I made this Ewok lunch for them. If you like Ewoks, Wicket is obviously the best. Return of the Jedi was my favorite Star Wars movie growing up and it might be my kid's favorite now. I was always a huge fan of the speeder bikes and though the biker scouts were awesome. They never really did anything but they looked cool and went fast. This lunch is made in an Easy Lunch Boxes container. 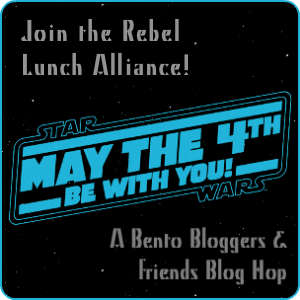 My Ewok lunch is also part of a May the 4th blog hop. 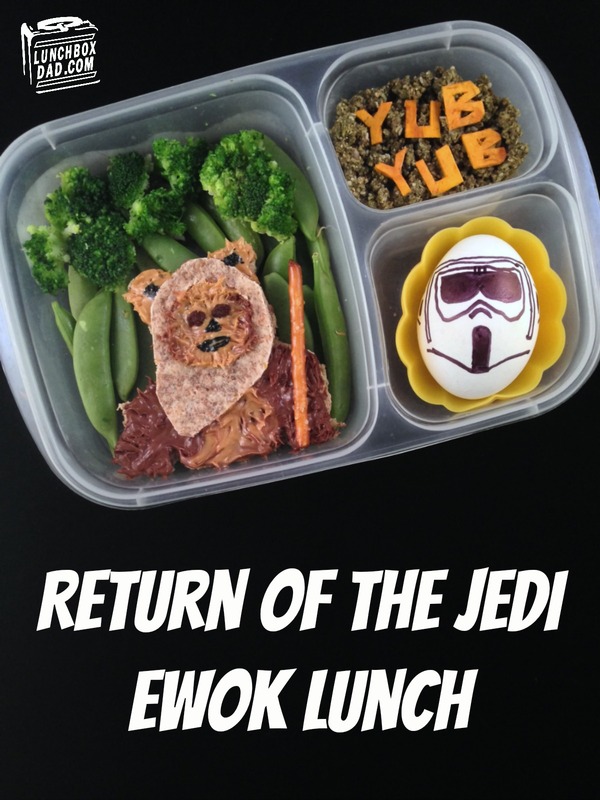 I am not posting the directions for this one, but after you read about the ingredients make sure and click the blog hop button below and check out all the other amazing Star Wars lunches in the hop. Believe me, if you are a Star Wars fan you wll want to look at all of these! Wicket the ewok is made of whole wheat bread, nutella, peanut butter, whole wheat tortilla, and raisins for the eyes. He has a pretzel stick spear and black food coloring for the facial features. The background is snap peas and broccoli. I also used dried mango for the letters and a very healthy Superfood Granola that I bought at Whole Foods Market. Its very good and my kids love it! The Biker Scout is just marker on a hardboiled egg. I followed the look of a printable coloring page to get it close. I hope you like this lunch and May the 4th be with you! Wicket is awesome. Love the entire lunch! This is awesome! Love the use of wholesome foods too! I plan on making fun shapes with food when my daughter is of age, but she's only 5 months now so I have a while. Thanks for sharing! Thanks RC, glad I can encourage you! Yub Yub to you too! This is absolutely awesome, true food art!